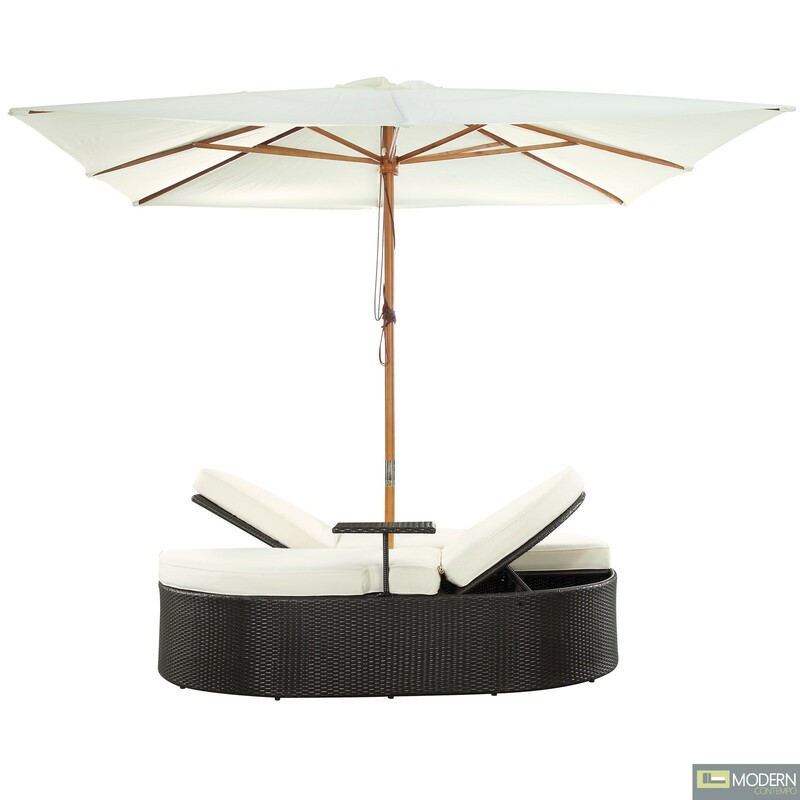 Fragrant breezes waft gently by as you recline on the comfortable Nagoya outdoor set. 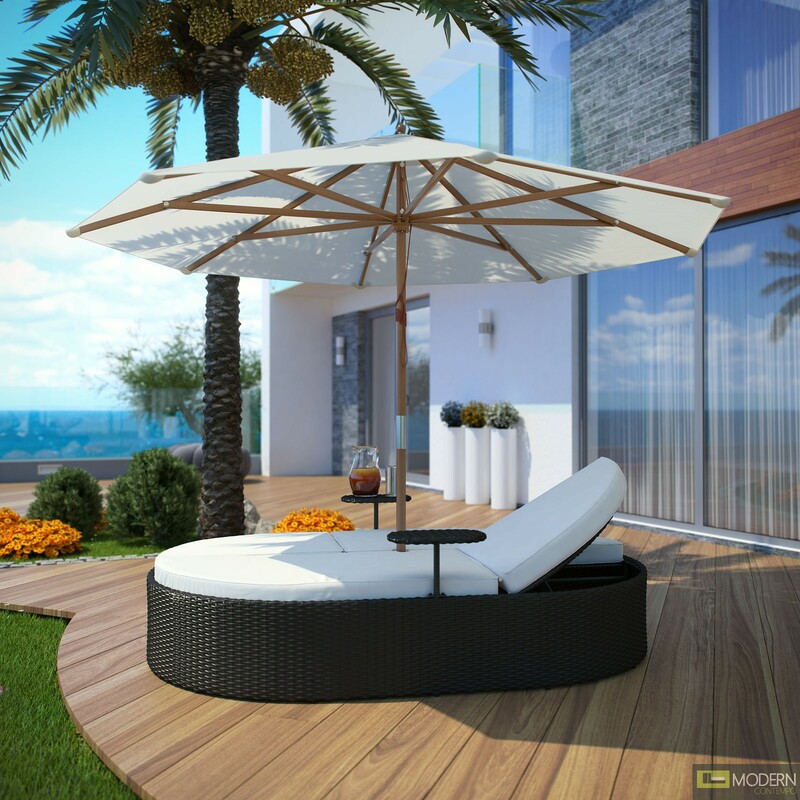 Grace surrounds you while the easily folding umbrella provides shade from the sun. 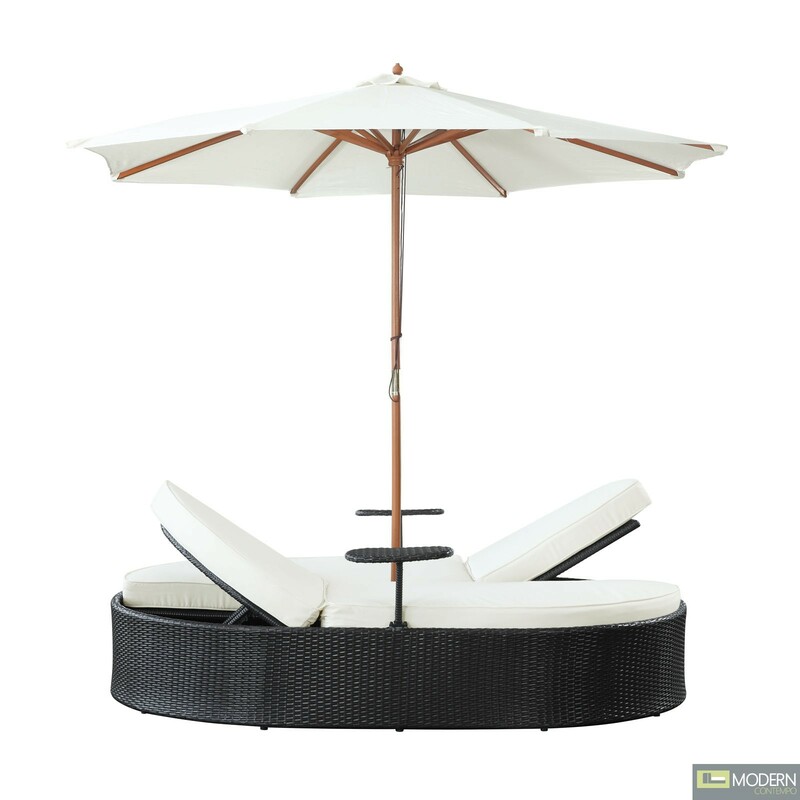 With two facing chaise lounges, communication is encouraged whilst in the midst of relaxation. 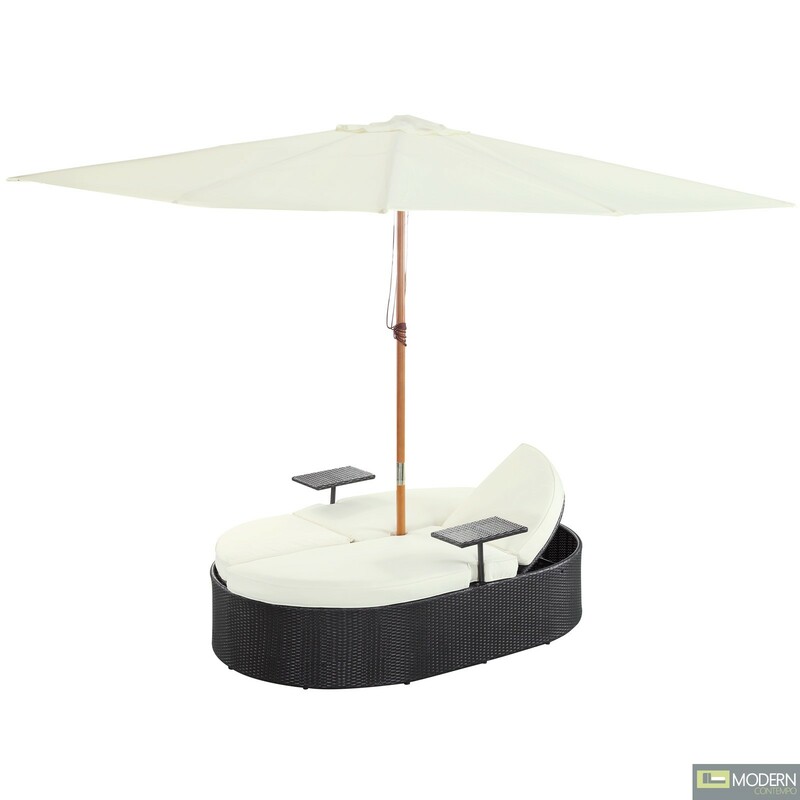 Nagoya comes fully equipped with two height adjustable recliners, two beverage stands and a sun shade. 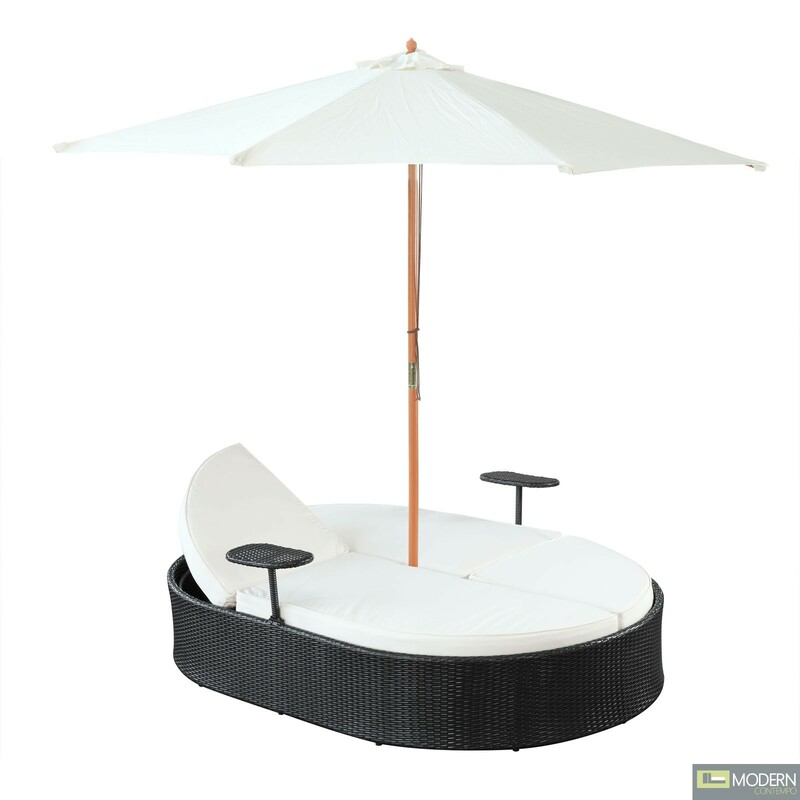 The base is made of UV resistant rattan, a powder-coated aluminum frame and all-weather conditions. 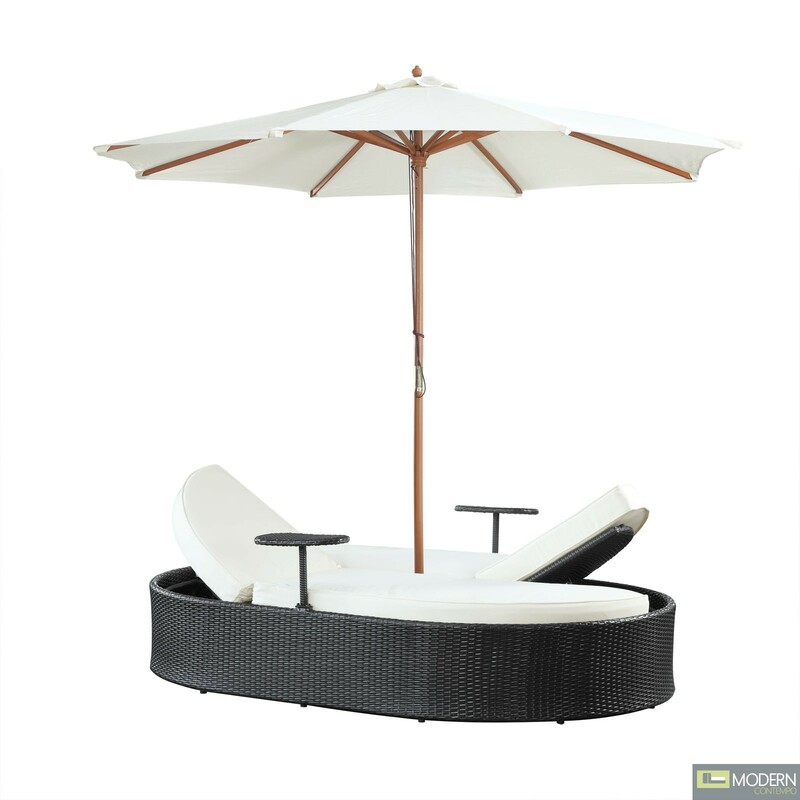 Nagoya is perfect for cafes, restaurants, patios, pool areas, hotels, resorts and other outdoor spaces.